CashFlowDepot is the best resource I have seen. There is so much awesome education in video from the best of the best. The weekly calls are chocked full of valuable information. The forum is a great place to find answers and ask questions specifically to your deals. I would highly recommend CashFlowDepot to new and old investors. CashFlowDepot continues to be both educational and motivating. I don’t know anywhere else that htis information is available for a lower price. It’s the best deal around! Thanks for sharing Jackie! I have been a member of CashFlowDepot for two years. No other site gives you so much for so little. 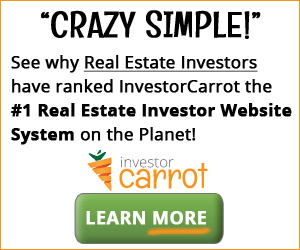 The site is an indispensable tool for the veteran or beginning investor. The materials and resources available at CashFlowDepot have drastically increased my knowledge in a very short period. It quickly gave me confidence to actually do deals. Unlike other groups, I have been able to talk to real people doing real deals today. CashFlowDepot is a very economical means of increasing your knowledge base. CashFlowDepot is a true full-service site for real estate training. The foresight to put this website in place while Jack Miller was still alive is amazing. He would be very proud of the work Jackie Lange and Chris Miller continue to do with this endeavor. What a blessing to the rest of us! CashFlowDepot is a GREAT source for Real Estate problem solving. I can’t say enough about the CashFlowDepot. No matter what type of deal I have going there is always either a video or audio call that helps me with getting the deal done. I am a CashFlowDepot member for life. For years we spent thousands of dollars on basically useless real estate gurus. For a fraction of that cost we have access to hundreds of hours of teachings. I highly recommend CashFlowDepot. The best and most available real estate education available. The CashFlowDepot membership is like ( to me) having an experienced co-pilot. Really great in times of turbulence, storms, and system failures. Bottom line = I’m not alone!